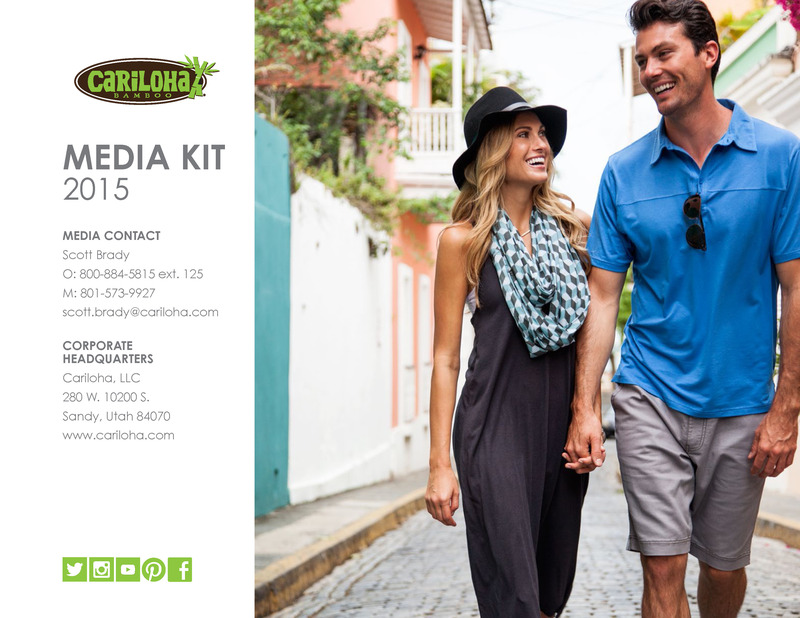 Cariloha introduces men’s and women’s shorts made from soft, eco-friendly bamboo fabric to its Cariloha stores worldwide. SALT LAKE CITY – This week, Cariloha is introducing a new line of men’s and women’s casual-wear shorts that are made from soft, eco-friendly viscose from bamboo. For the time being, these bamboo shorts will be available exclusively at Cariloha stores, which are located in the continental U.S., Mexico, Caribbean, Hawaii and Alaska. They will be available on Cariloha.com by early summer. Bamboo is the raw material of choice for Cariloha’s entire clothing line. Cariloha turns hard bamboo shoots into smooth, soft fabrics, which the company uses to make everything from bedding and bath goods to fitness gear and socks. The viscose-from-bamboo shorts are part of Cariloha’s Bamboo Style Line, which helps round out Cariloha’s apparel offering for men and women. •	Classy, chic feel – made to look and be more stylish. •	Buttons, stitching and styling are cleaner, sleeker. •	Cariloha bamboo branding tag is on the front-left pocket. •	Triple button fly (one button inside and two out). •	The updated short colors wear with anything and are made to pair well with any of Cariloha’s tees, tanks, or polo shirts. •	Shorts have a much shorter inseam at 9.5-inches. The shorts are meant to replace Cariloha’s former Arden bamboo shorts. •	Per store and customers’ requests, we went from previous steel gray and taupe short colors to charcoal and latte colors for a richer, sophisticated look. •	Flat front with enhanced tailoring and narrowed leg opening around the thighs. •	Shortened inseam from 10” to 9” – shorter, narrower look. •	Tighter lines, stitching and detailing for a cleaner, sleeker look. •	Still features Cariloha’s custom-pocket bagging, printed with Cariloha’s bamboo icon, and custom front and pocket embossed Cariloha buttons. Also features custom-green Cariloha interior waistline piping and belt loop. •	Narrowed leg opening around the thighs for a less-baggy fit. •	Retained the longer, 10.5” inseam to provide a classic cargo-short look and length. •	Still features Cariloha’s custom-pocket bagging, printed with Cariloha’s bamboo icon. Also features custom-green Cariloha interior waistline piping and belt loop. •	Roomy side cargo pockets with Velcro closure and back pockets with Velcro closure.